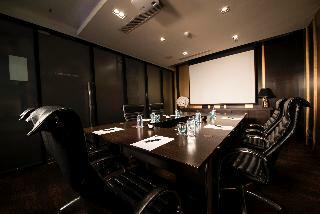 Grand Diamond Suites Hotel is strategically located in the heart of the shopping district of Pratunam in Bangkok. Offering the ideal setting for seasoned shoppers, guests will find 2 shopping centres in the immediate vicinity of the hotel. 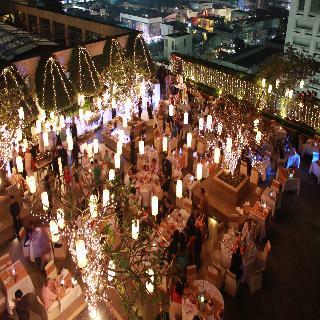 The Brahma God Shrine is just 1 km from the hotel and Bangkok International Airport lies 33 kms away.This magnificent building comprises luxuriously-appointed suites and gloriously comfortable penthouses commanding spectacular views of the skyline of this eclectic city and the bustling business district. The suites and penthouses feature an elegant design with crisp white decor and wooden elements. Enjoying spacious accommodation and modern comforts and conveniences they exude serenity and splendour offering the perfect setting for discerning guests travelling to the city. 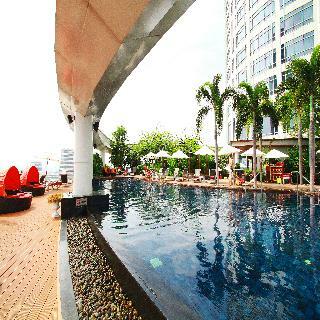 The Grand Hyatt Erawan hotel is located in the heart of Bangkok and is close to the business district and prime shopping centres. 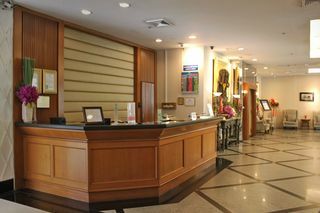 Don Muang Airport is just 24 kms away.This city spa hotel is a 380 bedroom establishment offering deluxe air conditioned resort-style facilities. It is conveniently linked, via Sky Bridge, to 2 Sky Train stations. 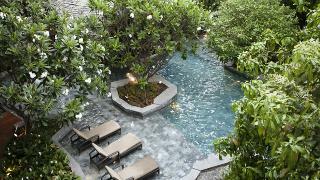 The luxurious guestrooms include 44 suites. Take advantage of a Mercedes Benz ‘S' class limousine service, helicopter service/rooftop heliport or Concierge service.The spa features 9 treatment bungalows for massage and spa treatments and there is a gym and swimming pool available also. 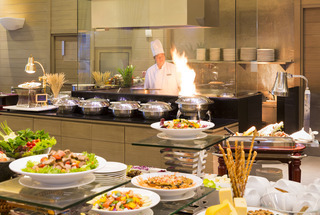 Spasso, is an Italian restaurant, featuring authentic cuisine and live music. 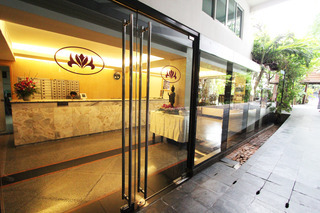 The Erawan Tea Room, serves authentic Thai cuisine and afternoon tea. 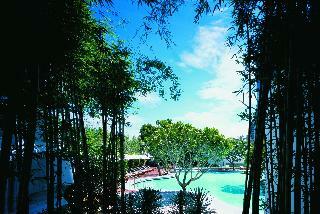 Stay with this hotel for a truly pleasant and unforgettable experience.